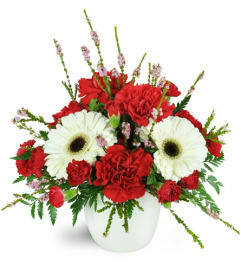 For a cheerful and charming touch of elegance, our Ornamental Anthurium™ is a sure crowd-pleaser! 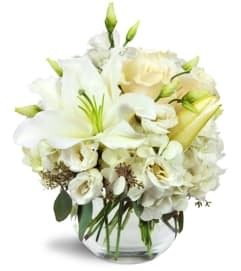 Tasteful and sophisticated, this graceful vase is a delightful hostess gift, and perfectly suited for welcoming placement in your front hall! 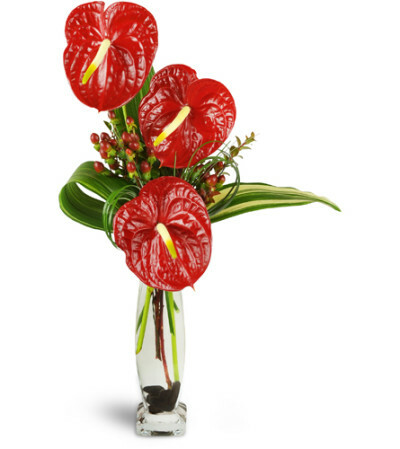 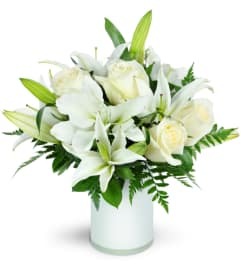 Three tall, graceful anthurium flowers are exquisitely arranged with cheerful hypericum berries, swoops of bear grass, and variegated aspidistra in an elegant clear glass vase.